Promoting Nicaragua’s unique Beauty, Culture and Tourism to the international community. “Our mission is to provide opportunities to empower young women from the entire Nicaragua who are charity driven and have that passion to proudly represent the beauty, culture and tourism of Nicaragua at international pageants, whilst progressing to be positive role models in society”. The crowned Miss Oneness will have the opportunity to travel to an international beauty pageant to represent Nicaragua. 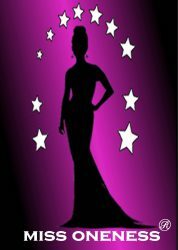 There, she will showcase her talent, intelligence, grace, charm, poise and beauty that are truly indicative of the diverse cultures and traditions of a multi-ethnic society exemplifying the theme of the Miss Oneness Beauty Pageant: The Empowerment of Women through Beauty and Splendor!